Congratulations to the talented cast of Gerry Cullity’s Alice in Wonderland!! Please watch for an email from parentliaison@desertstages.org with a lot of information. 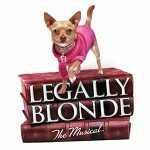 Congratulations to the cast of Legally Blonde The Musical! Congratulations to the cast of Neil Simon’s Broadway Bound! Congratulations to the cast of Oliver!